You can import 3D models you have made or downloaded from 3D model sites into Unity. The recommended formats are FBX or OBJ; if you are importing skinning (weighting) information, we recommend using .FBX, however .Blend and .DAE will import skinning data as well. The simplest and easiest way to import your 3D file is to simply drag and drop the file into your unity project assets directory. The directory will be where you saved the project after creating one initially during the installation of the Editor Pack. When you open Unity, the file will be in your Assets folder. 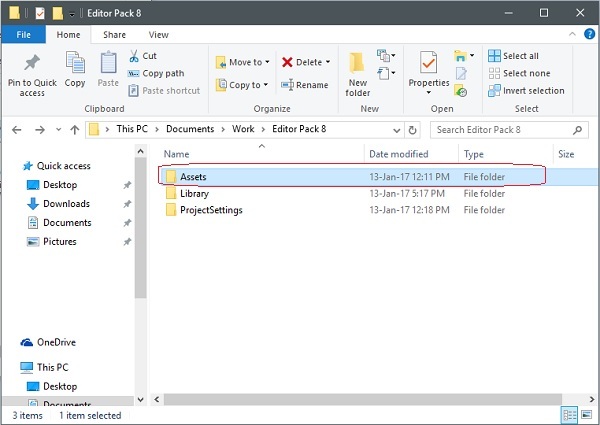 You can create a new folder for the item by right clicking in the Assets folder, and choosing Create>Folder. You can then follow the guides and tutorials on the wiki to build regions or upload your clothing items to space.